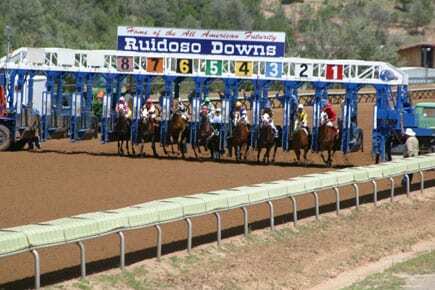 On Jan. 16, the New Mexico Racing Commission (NMRC) Rules and Medication Committee voted to pass a rule that would make the drug albuterol a zero tolerance drug in the state of New Mexico. The new rule is intended to go into affect around May 1, 2019. The anticipated ban on albuterol is not breed specific and would apply to both Thoroughbreds and Quarter Horses, the same as New Mexico's rule regarding clenbuterol. The zero tolerance will be utilized for post-race testing as well as the out-of-competition testing program used by the NMRC. As stated, the new rule would be utilized in both Thoroughbreds and Quarter Horses. When the committee voted to make the rule breed specific to Quarter Horses, only three of the 19 members favored a breed-specific rule. The committee also voted to adopt version 14.0 of the Uniform Classification Guidelines and Recommended Penalties Model Rule of the Association of Racing Commissioners International. This entry was posted in NL List, The Biz and tagged albuterol, association of racing commissioners international, clenbuterol, controlled therapeutic medication schedule, drugs in racing, izzy trejo, new mexico racing commission by Edited Press Release. Bookmark the permalink.